At the time of the American Revolution, wheat flour was a luxury. Cornmeal and rye flour were more common. So the three grains were combined in what were called “thirded” breads. A bread born of necessity 300 years ago easily could have been invented this morning by a nutritionist. It’s high in fiber and low in calories — like a giant bran muffin without all the sugar. 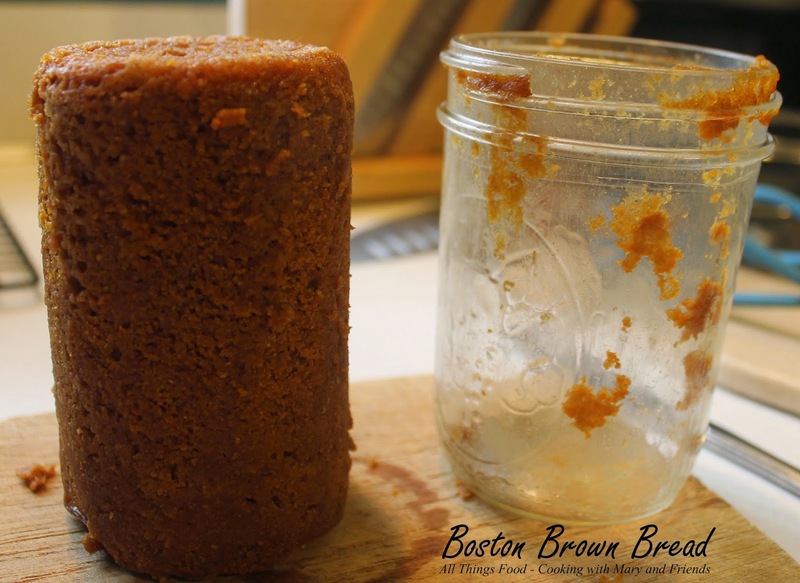 Some recipes use brown sugar, but the more traditional ones rely on molasses for sweetening. 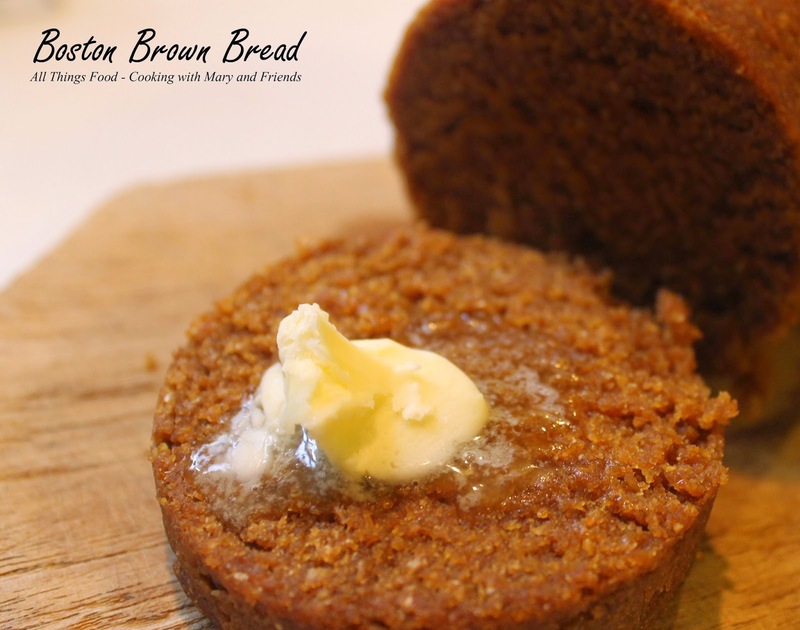 I grew up having Boston Brown Bread with Boston Baked Beans and hot dogs on Saturday nights. Oh yes, that was living! It was always so good, and so simple. Sometimes simple foods are the best. This recipe has not changed much from the days of the Pilgrims. 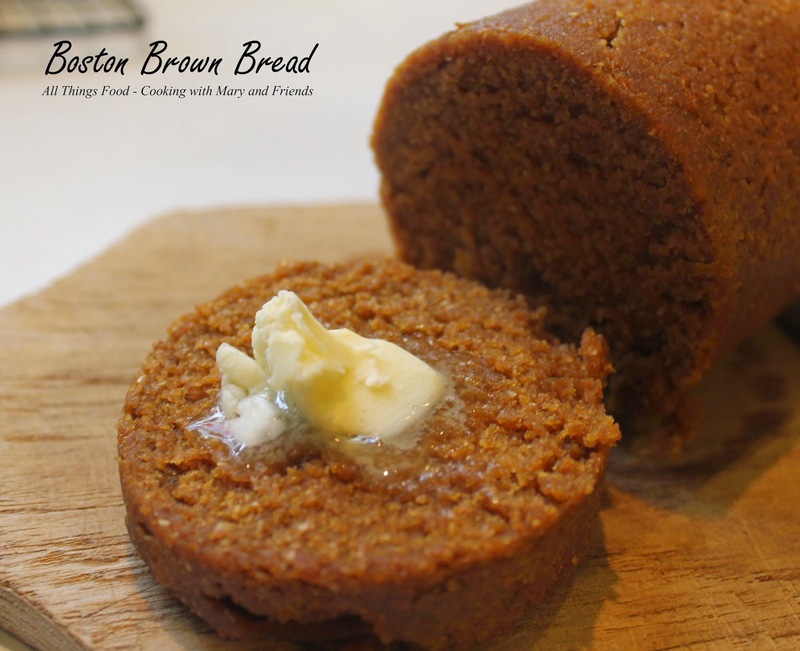 Once you prepare this dish you will never again buy brown bread in a can at the grocery store. Grease three 16-ounce wide-mouth canning jars and place ⅓ of the batter in each. Cover each with wax paper and then aluminum foil. Tie each with a bit of string so that the foil is sealed. Place a cake rack in the bottom of a large stock pot and place the cans on the rack. Add enough boiling water to come ⅓ up the side of the cans. Remove the jars from the stock pot and allow to cool 10 minutes on a cooling rack. 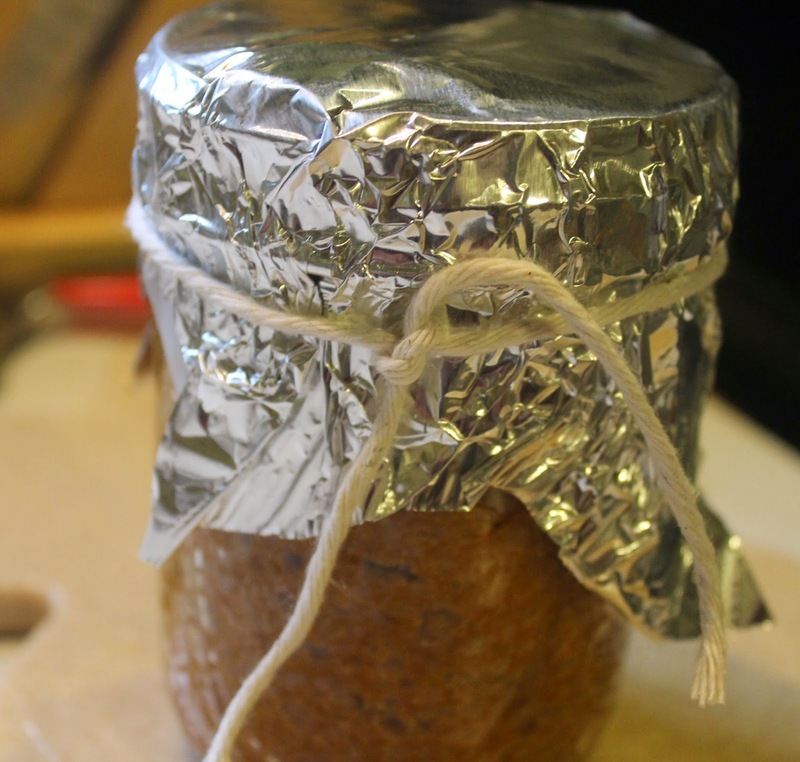 Remove the aluminum foil cover, run a butter knife all around the inside of the jars, invert and shake out gently onto the cooling rack. Slice with a knife and serve hot topped with butter. 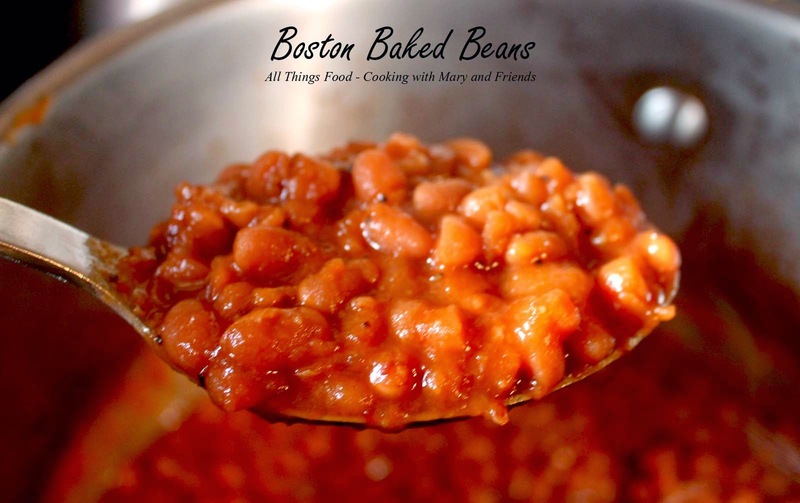 Add a side of Boston Baked Beans and Hot Dogs for a complete meal. Cook's note - the wide-mouth canning jars are simply used to bake the bread in. They can't be used to store the bread in, and are not to be considered shelf-stable; the bread must be removed from the jars and stored in your refrigerator, or wrapped and frozen.